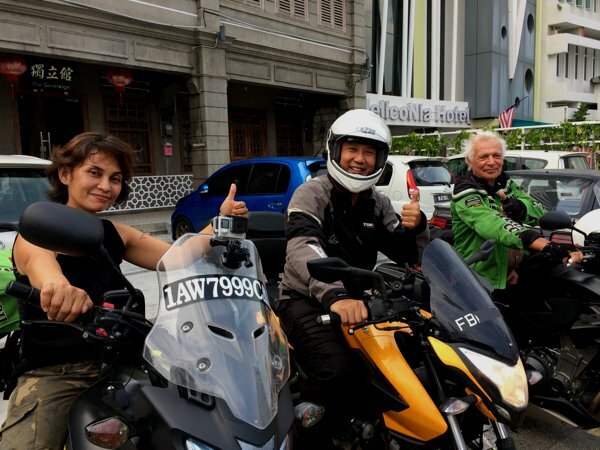 All vehicles getting into Penang island need to pay toll – including motorcycles. 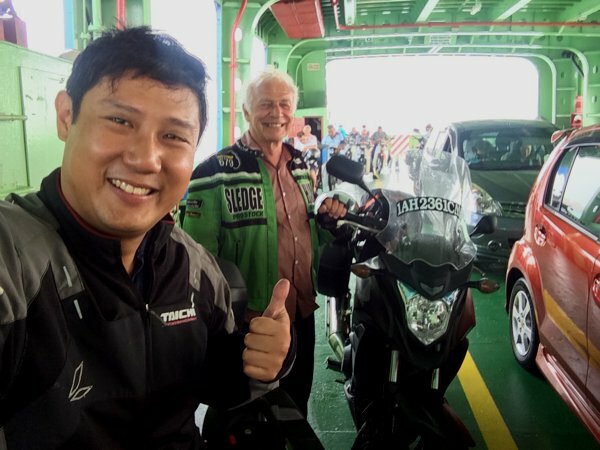 You could either take one of the 2 bridges across from mainland to Penang, or, like Michel and Pim, take the ferry. Either way, there’s cost involved (RM2, I think). 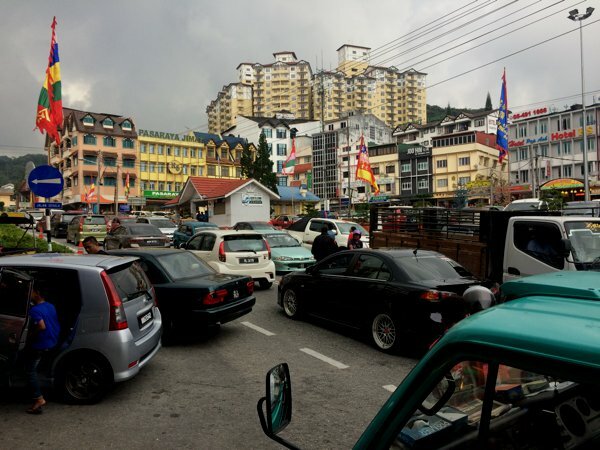 But getting out of Penang island to the mainland Peninsular Malaysia is free – even for the ferry ride! So because I came to Penang via the bridge, I thought I’d join the 2 of them on the ferry to get back to mainland. Taking the ferry from Penang to mainland Peninsular Malaysia. 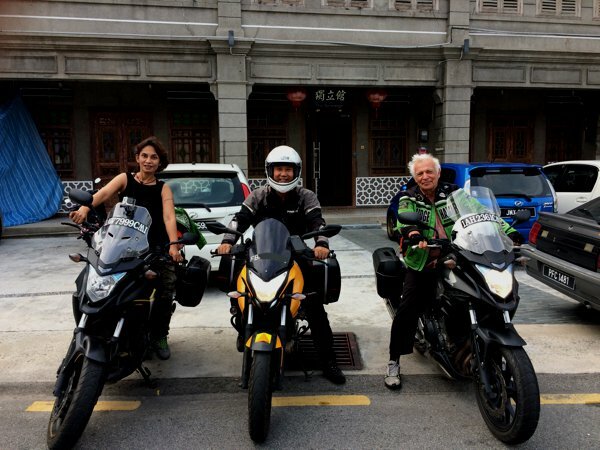 After bidding farewell to Michel and Pim, I travelled south towards the town of Ipoh for lunch. 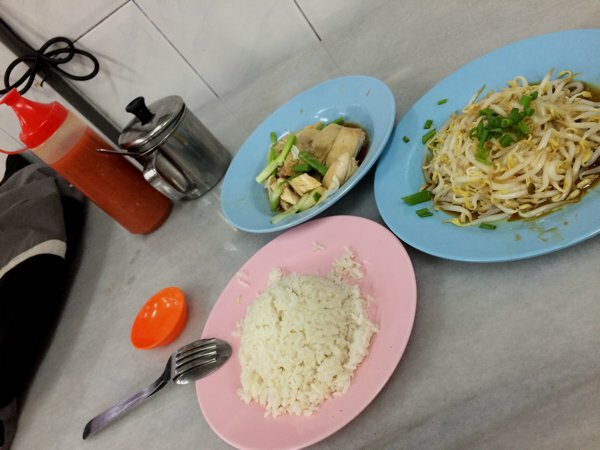 Lunch in Ipoh – chicken, bean sprouts, rice. RM15 including a glass of iced barley. Pricey! I’ve never been to Ipoh, so I took the opportunity to circle around town and explored the place. Nothing interested me. And I was started to perspire crazily. Malaysia’s and Singapore’s weather is hot AND humid. The heat may still be bearable, but the high humidity prevents the perspiration from evaporating – making it feel hotter than it really it. 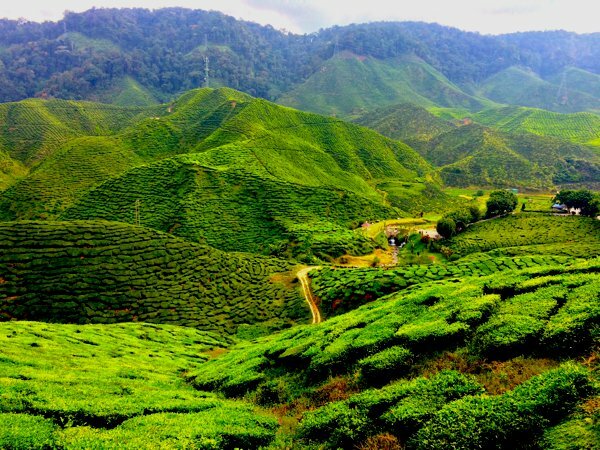 It was getting really uncomfortable, so I decided to head to the nearby Cameron Highlands to escape the heat. Day 47’s route. 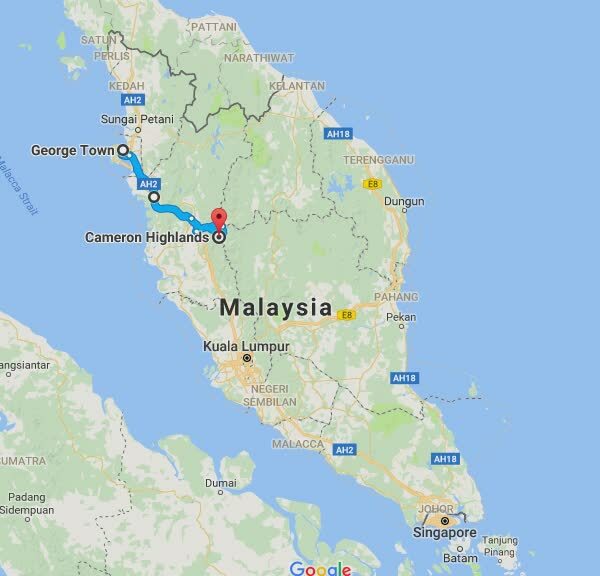 Penang – Ipoh – Cameron Highlands. 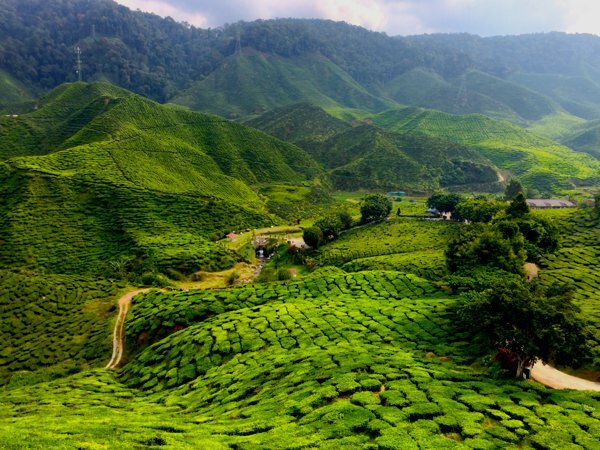 Approximately 1,500m above sea level, Cameron Highlands is known for it’s cool weather, resorts, strawberries and tea production. 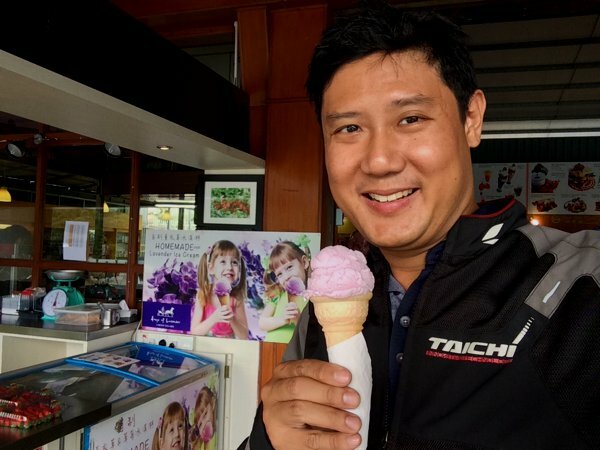 Hand-made lavender flavoured ice cream. 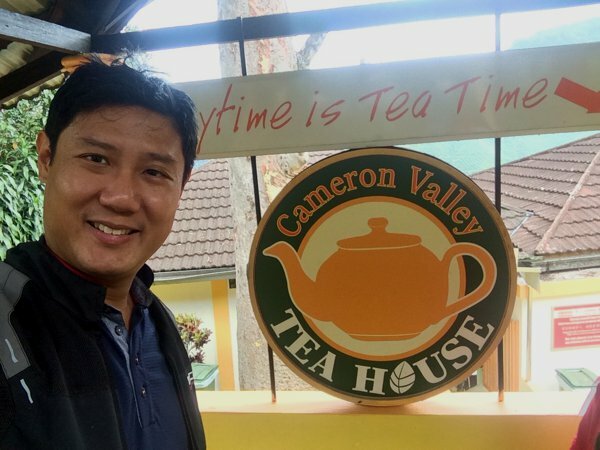 You shouldn’t come to Cameron Highlands without sampling their locally produced tea. Another view of the tea plantation in Cameron Highlands. The town in Cameron Highlands. You know how sailors, after sailing for months in the open sea, get excited when they spot birds in the air? It means that land is somewhere near. Similarly, I got really excited when riding around town, I spotted a few groups of motorcycles with Singapore plates. It means that I’m not too far away from home. “Such snobs!” I thought to myself. 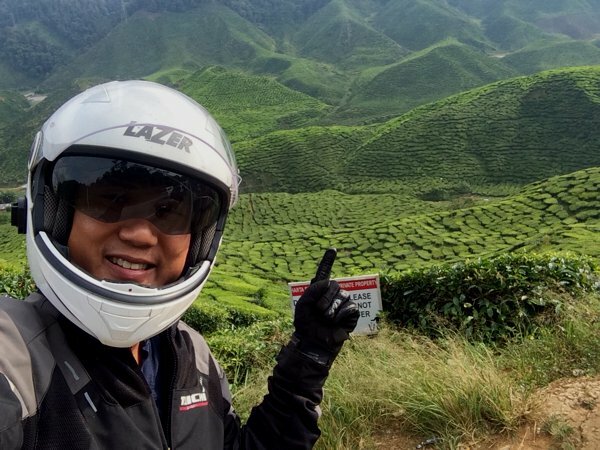 And then, it suddenly dawned on me that because I’m not that far from home, sighting a Singapore-registered motorcycle in Cameron Highlands is not so special at all. Awww…. 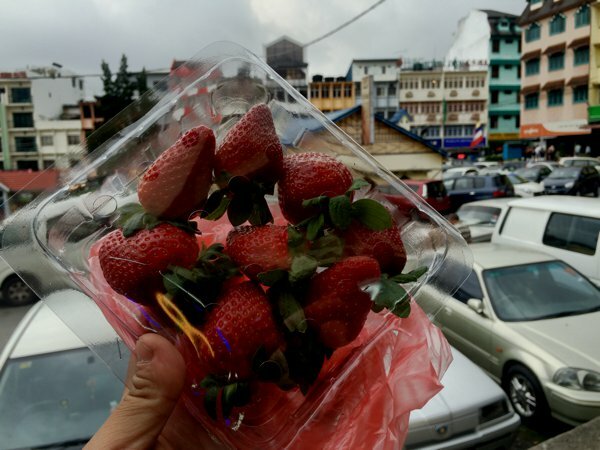 Got some local strawberries for after-dinner desserts. Not as sweet as I hoped, but very, very succulent.